Security has been strengthened in Uttar Pradesh’s Ayodhya, in the wake of the 25th anniversary of Babri Masjid demolition that inflamed communal violence all over the country. 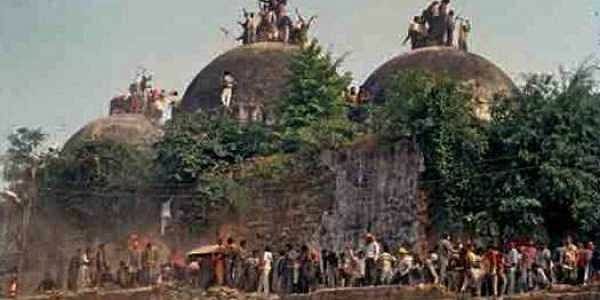 AYODHYA: Security has been strengthened in Uttar Pradesh’s Ayodhya, in the wake of the 25th anniversary of Babri Masjid demolition that inflamed communal violence all over the country. The city in under the scanner of security forces, as each and every person is being frisked at multiple check points across the temple town. “Muslims consider this day as a ‘black day’ for their community, while Hindus mark this day as victorious,” Commander of bomb disposal squad told ANI. The commander added that every corner of the town has a police personnel standing while various security teams such as bomb disposal squads, have been deployed. “There is no area that is not being checked,” he said. On 6 December, 1992, the Vishva Hindu Parishad and the Bharatiya Janata Party (BJP) organised a rally in Ayodhya involving over 1.5 lakh volunteers, known as kar sevaks. However, the rally soon turned violent, and the crowd overpowered the security forces before demolishing the 16th Century Babri Masjid. This triggered communal riots across the country in which more than 2,000 people lost their lives. The rally had the presence of senior leaders of BJP, LK Advani, Uma Bharti and Murli Manohar Joshi. In 2009, a report by Justice Manmohan Singh Liberhan found 68 people to be responsible for the demolition of the mosque, which included names of Atal Vajpayee, Advani, Joshi and Vijay Raje Scindia.